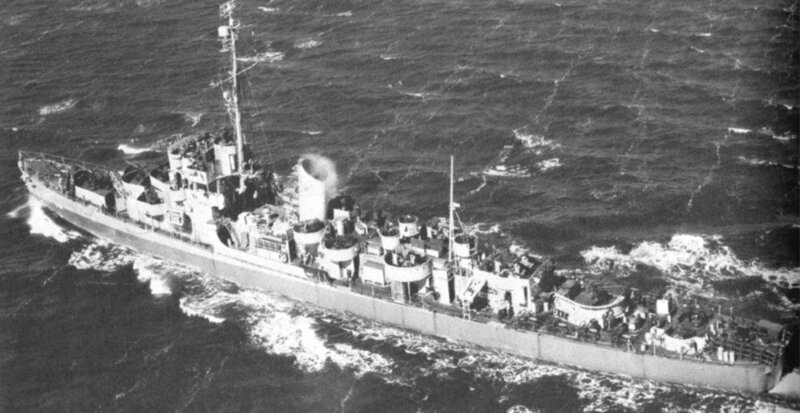 Tactical Voice Radio Call: "Crystal Lake"
26 July 1943: Keel laid at the Consolidated Steel Co., Orange, Tex. 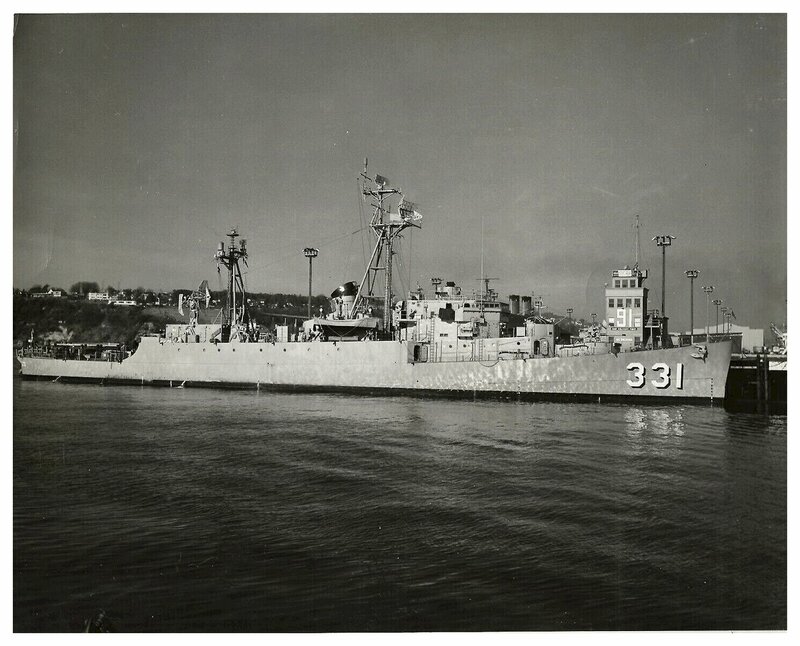 593k 26 August 1955: Mare Island Naval Shipyard, Vallejo, Cal. 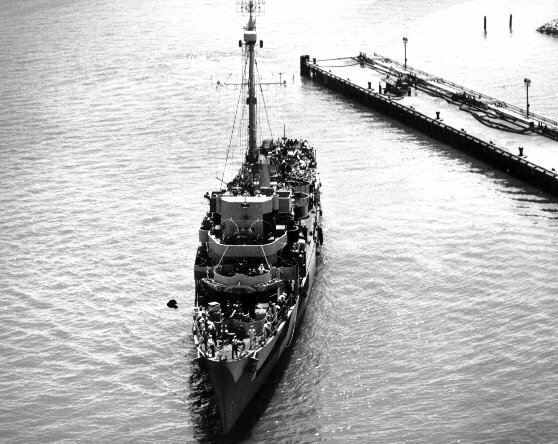 - Bow view of USS Koiner (DER 331) during her commissioning ceremonies at Mare Island. 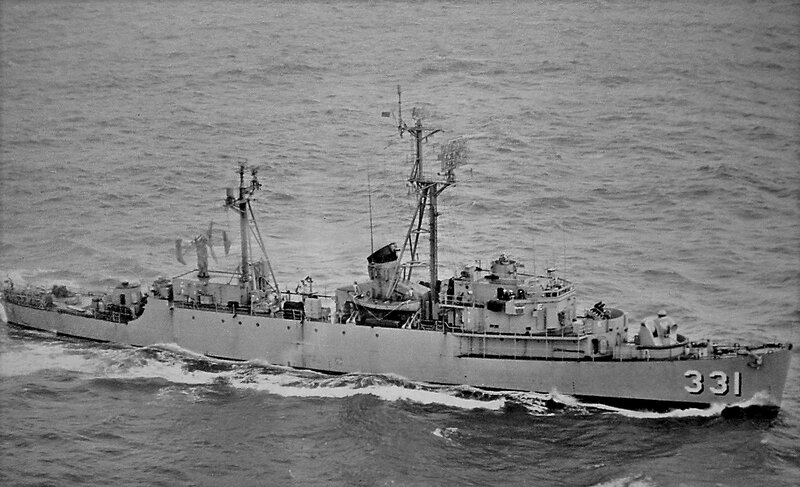 The stern of the USS Mountrail (APA 213) is just visible aft of Koiner. 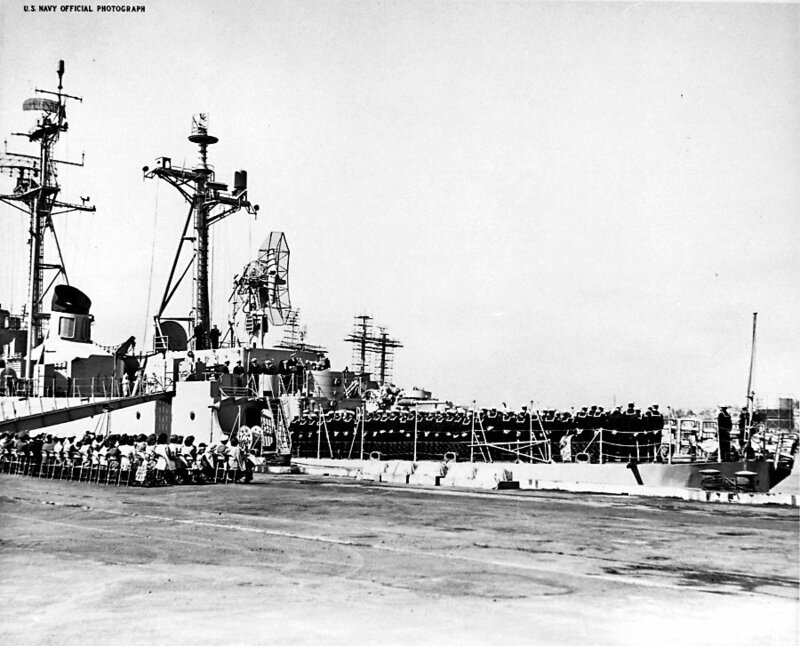 721k 26 August 1955: Mare Island Naval Shipyard, Vallejo, Cal. 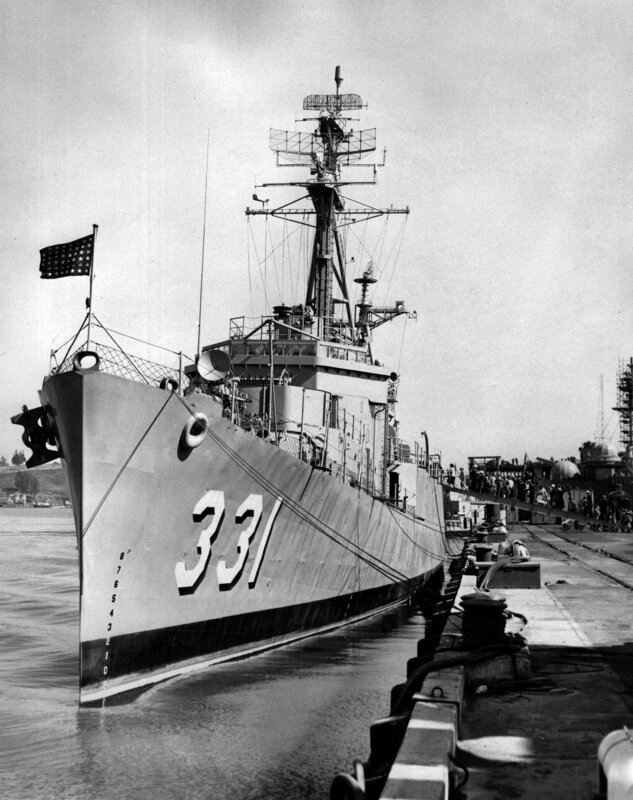 - Stern view of USS Koiner (DER 331) during her commissioning ceremonies at Mare Island. 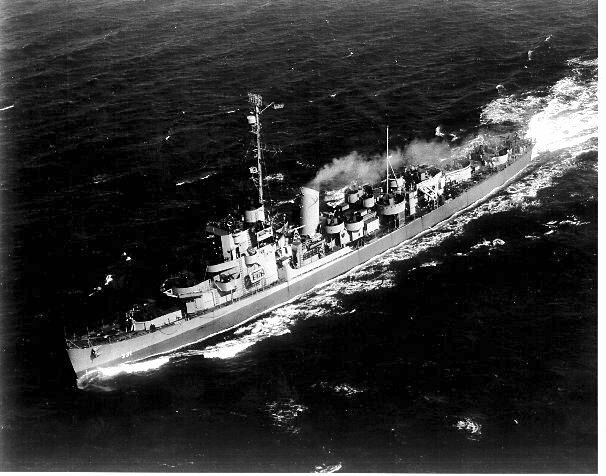 The USS Rasher (SSR 269) is forward of Koiner. 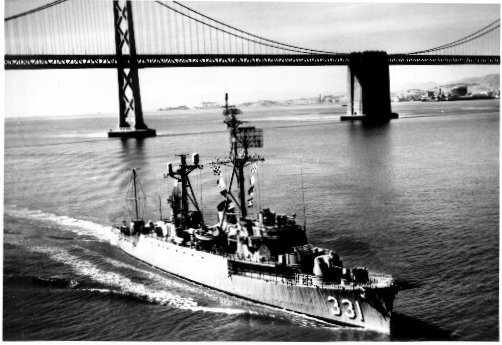 143k 26 August 1955: Mare Island Naval Shipyard, Vallejo, Cal. 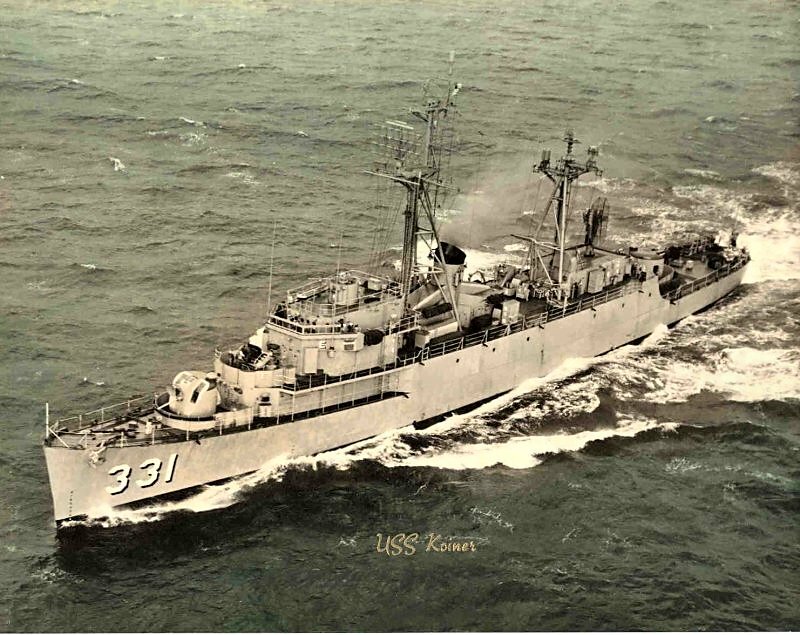 - Commissioning ceremonies of USS Koiner (DER 331). 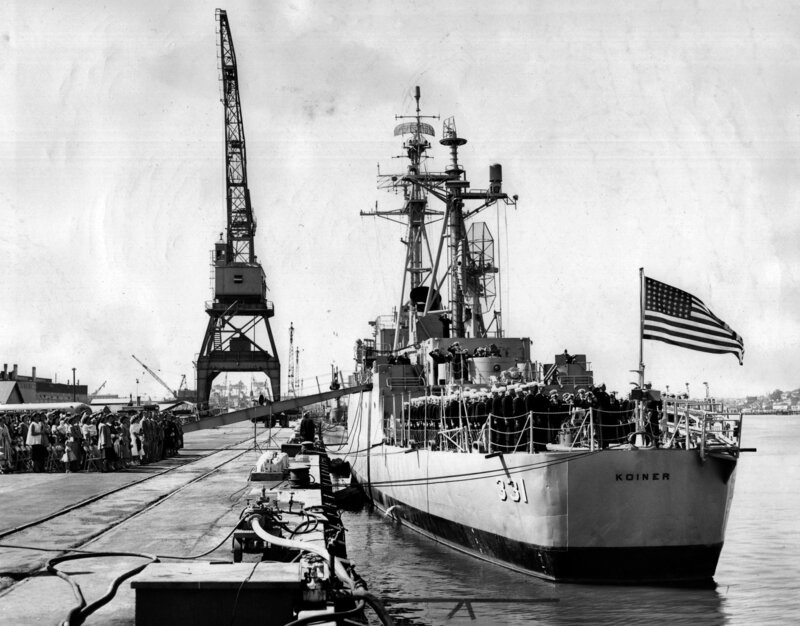 102k 1965: San Francisco Navy Yard - Koiner and USS Atlanta (IX 304) lie across the pier from USS Ticonderoga (CVA 14). 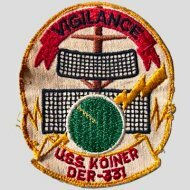 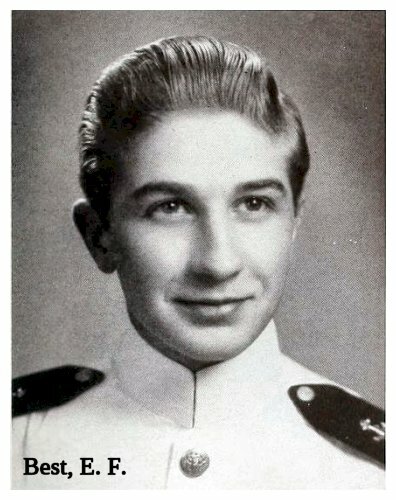 View the USS Koiner (DE 331) DANFS history entry located on the Naval History and Heritage Command web site. 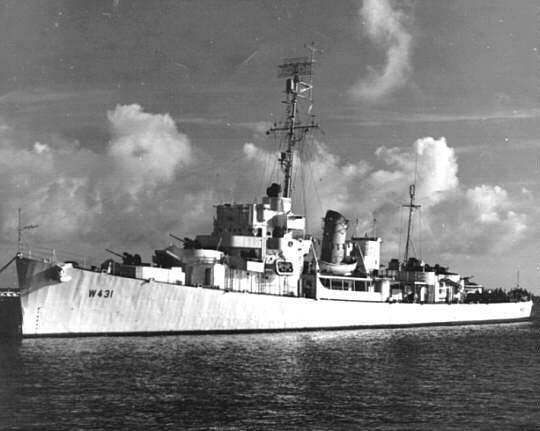 View the official War History of USS Koiner as submitted by the ship at war's end.